When it comes to the needs of the modern homeowner, everyone from first time home-owning millennials to empty nesting baby boomers are finding that manufactured homes suit their lifestyles. Whether it’s the custom options of factory-built homes, the affordability, or the much-improved safety engineering of today’s construction, more people are choosing manufactured homes as their main dwelling. And, according to the Manufactured Housing Institute, 22 million Americans live in manufactured homes with about 34% of new homes placed in communities. There is so much to love about manufactured homes these days, see the top 10 reasons to love ‘em below! During the building process, homeowners have a plethora of options when it comes to customizing their manufactured homes: from open floor plans to vaulted ceilings; colorful kitchen tiles to the softest white carpets; you can design the home of your dreams when you choose a manufactured home! Factories’ provide controlled conditions throughout the building process, meaning no weather-related delays. Not only does this get you into your home sooner, the controlled conditions and assembly line construction techniques ensure that building is efficient. Problems often encountered when site-building homes like vandalism, theft, weather, and damage to building materials are removed in a factory environment. Manufactured homes are built to the same HUD standards as site-built homes and because they are mostly built in a factory, all aspects of construction are continually inspected by professionally trained third-party inspectors. Additionally, building materials for manufactured homes have drastically improved since their initial construction in the late 1960s. Building materials are much stronger and of higher quality and are engineered for wind safety and energy efficiency. 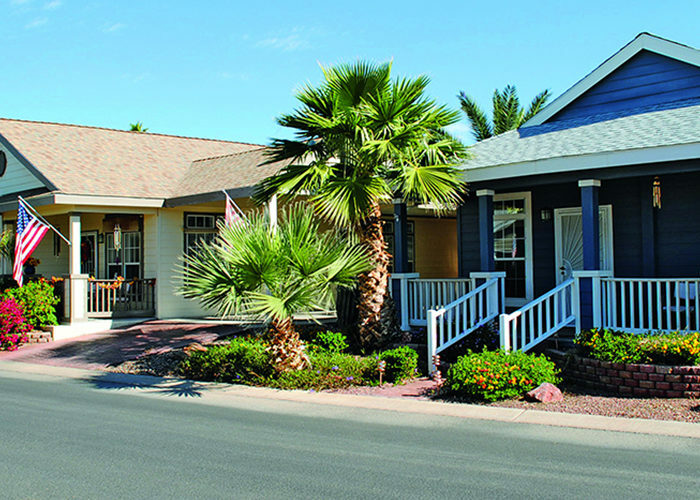 Manufactured home communities are filled with people who enjoy being social and staying active. Whether you meet lifelong friends from an intramural league of pickle ball players, or find your group of Friday night potluck dinner mates, community living means you’ll never be bored. There are communities that have clubs and activities for all interests, providing opportunities to make new friends all of the time. Computer-assisted drawings allow builders to ensure that homes are built precisely, ensuring that building time isn’t slowed down and materials aren’t wasted. Generally, after Which means that manufactured homes have a lower carbon footprint than site-built homes and Also, manufactured homes are equipped with Energy Star appliances since everything is built in a specific site, materials not used for one manufactured home and can be used in the future for other manufactured homes, no materials are therefore wasted. Manufactured homes require minimal maintenance because of their construction quality. Having been built in a factory allows for precision and craftsmanship. Plus, when you have a warranty with your manufactured home, it’s easier to fix problems right away and before they get worse. 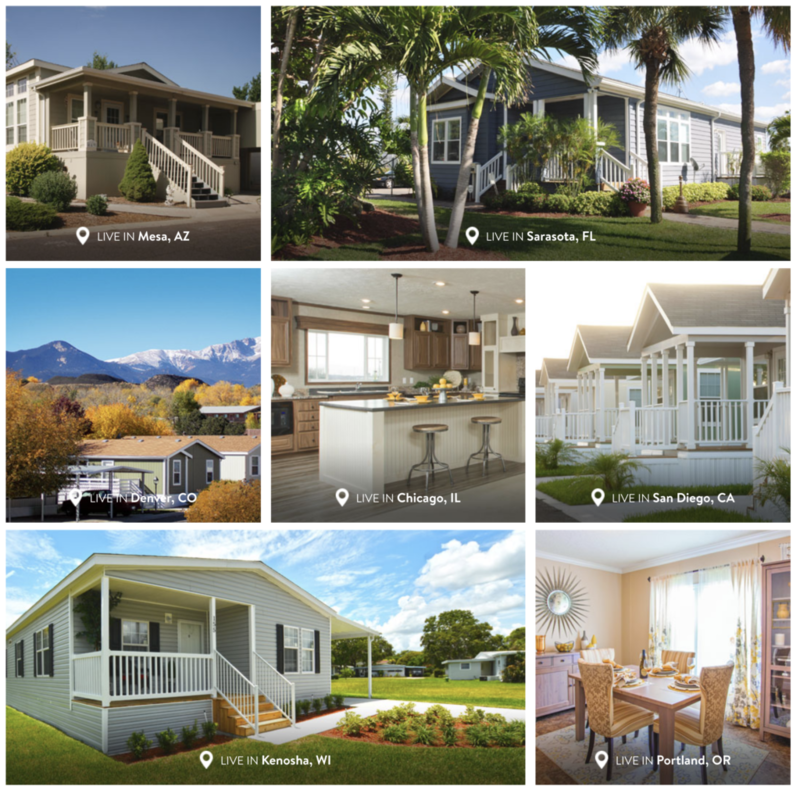 Whether you want to live on the beach to wake up every day to the sight and sound of ocean waves or live among the hustle-bustle of the country’s most exciting cities, many manufactured home communities are nestled in some of the most desirable locations throughout the country. You’ll feel like you’re living your dream every single day when you live in a manufactured home in the location of your choice! Manufactured homes are an affordable option for owning your own home. They are smaller than a typical home and because they require less building materials, overall costs of the home are brought down. While site-built homes average about $107 per square foot, manufactured homes average about $49 per square foot. Instead of living in an apartment with no outdoor space to call your own, many manufactured homes sit on their own plot of land, give you the outdoor space you’ve been waiting for to plant a garden or to sit outside and soak up the sun. Many manufactured home communities allow pets, which is often uncommon for some retirement communities. There are even communities with dog parks for pets to enjoy time outside and socialize with other resident pets. Visit mymhcommunity.com to search manufactured home communities across the country and find the perfect one for you. Next Article Happy Holidays from myMHcommunity.com!